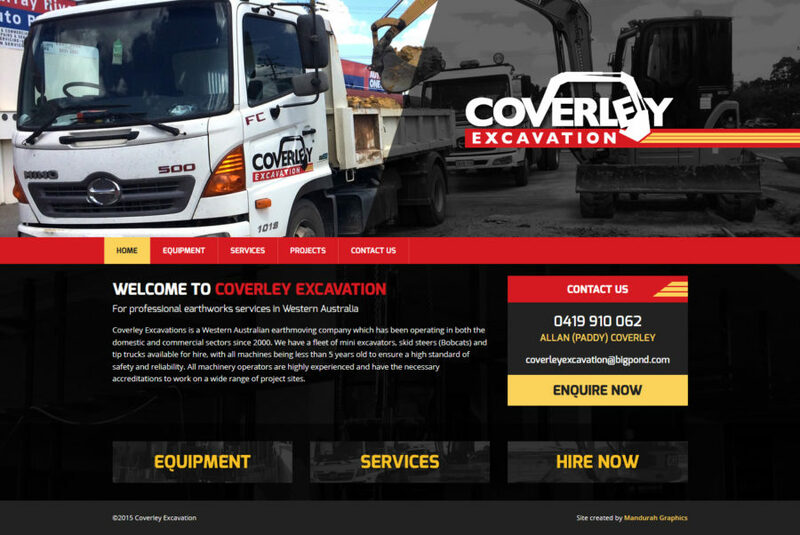 Coverley Excavation is a Western Australian domestic and commercial earthmoving company with a fleet of mini excavators, bobcats and tip trucks available for hire. The purpose of this site was to be a quick and easy way for potential clientele to access Coverley’s services, primarily on-site. This meant the site needed to have impact, but also be simple to navigate, and not cluttered with unnecessary content. Moreover, the website needed to be responsive, as most workers on-site wouldn’t have access to a large computer screen.